On Mar/05/2019 18:05 (Moscow time) Educational Codeforces Round 61 (Rated for Div. 2) will start. This round is organised in collaboration with Hello Muscat Programming Bootcamp and supported by Sberbank, General Partner of the boot camp and one of the largest banking leaders of Eastern Europe, providing thousands of jobs and innovation in the financial industry. As the Hello Muscat Programming Bootcamp’s General Partner, Sberbank made it possible for students from some of the world’s top universities to attend the bootcamp, by sponsoring their participation. 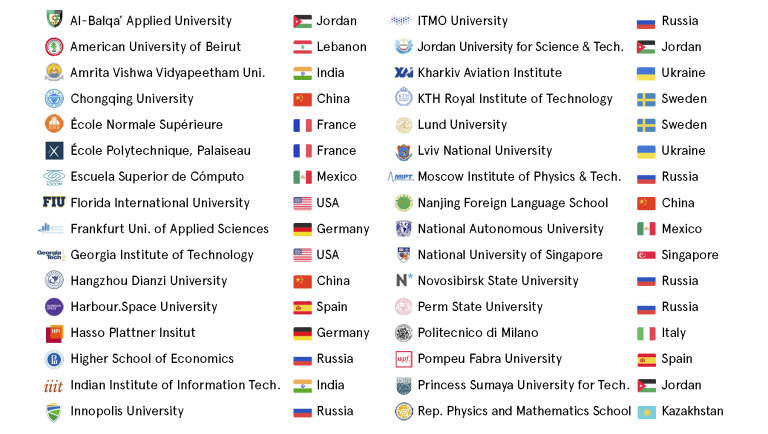 This includes students from Saint-Petersburg State University, Moscow Institute of Physics and Technology (MIPT), Penza State University, National Research Mordovia State University; MRSU, ITMO, Higher School of Economics / Moscow, Volgograd State Technical University, Lobachevsky State University of Nizhni Novgorod, Moscow Aviation Institute, Tyumen industrial University, University of Haifa, Northern (Arctic) Federal University, Saratov State University, Ural Federal University. 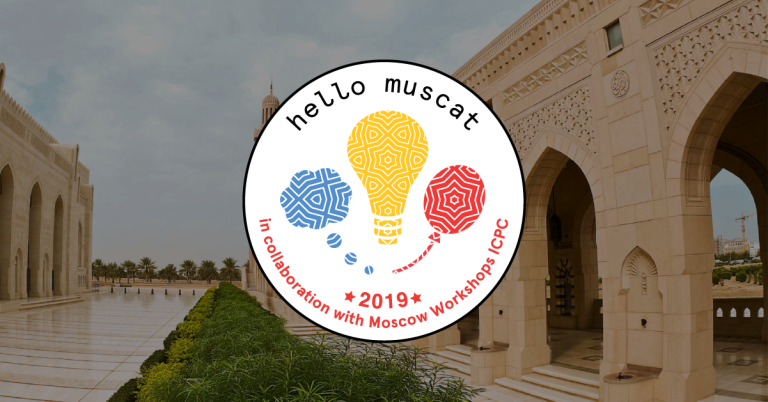 Hello Muscat Bootcamp will take place from 9th to 15th of March, and 120 students from 24 universities, including MIPT, Saint Petersburg State University and University of Tokyo will compete and practice side-by-side, smoothing the road towards the April World Finals in Porto. 1837 successful hacks and 1117 unsuccessful hacks were made in total! On Feb/18/2019 18:40 (Moscow time) Educational Codeforces Round 60 (Rated for Div. 2) will start. This round will be rated for the participants with rating lower than 2100. It will be held on extented ICPC rules. The penalty for each incorrect submission until the submission with a full solution is 10 minutes. After the end of the contest you will have 12 hours to hack any solution you want. You will have access to copy any solution and test it locally. The problems were invented and prepared by Roman Roms Glazov, Adilbek adedalic Dalabaev, Vladimir Vovuh Petrov, Ivan BledDest Androsov, Abizer Reziba Lokhandwala and me. 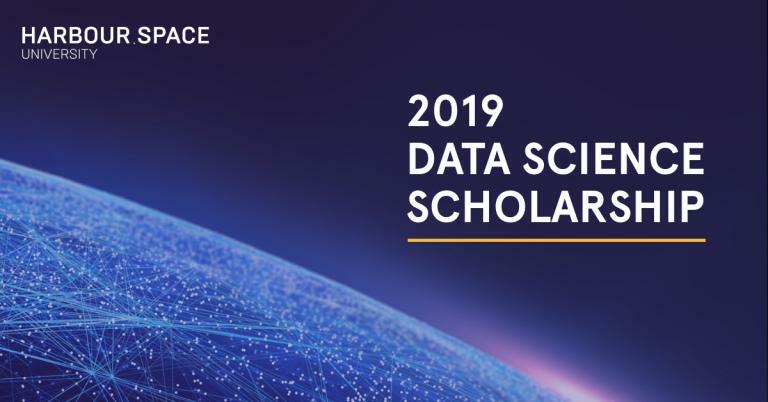 Harbour.Space Barcelona is proud to announce a collaboration with one of our industrial partners to offer a fully funded scholarship for our one year Master’s in Data Science Programme at HSU Barcelona. Our data science programme will feature super star teachers like Mike Mirzayanov (Advanced Algorithms and Data Structures), Alexey Dral (Big Data: Map Reduce, Spark, BigTable/HBase) and Alex Dainiak (Discrete Optimisation), plus many more. We don’t play by the rules. We bring practicing professionals, not only academic teachers, who come teach for intense, 3 week modules. HSU students are encouraged to experiment, fail, and try again, until they succeed. We are your home. Harbour.Space is a community of over 40 nationalities, and we're still growing. We provide an experience. Harbour.Space University is located in Barcelona, one of the most vibrant cities of our time. If you are interested in the scholarship, fill out the form below and we will contact you about the next steps. 344 successful hacks and 480 unsuccessful hacks were made in total! We are pleased to announce the 1st "Hello Muscat!" 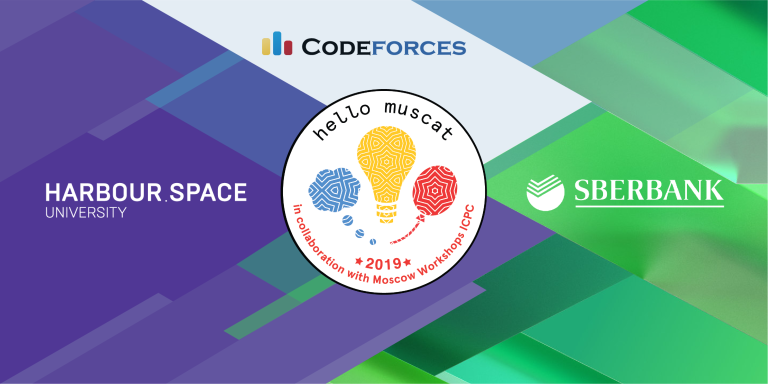 ICPC Programming Bootcamp, organised by Harbour.Space University with Moscow Workshops ICPC in collaboration with Moscow Institute of Physics and Technology, ITMO University, Saint Petersburg State University, GUTech University, and of course Codeforces! The Bootcamp's Gold Sponsor is Phaze Ventures, a venture capital firm and innovation platform based in Oman. The Bootcamp’s General Partner is Sberbank, the largest Russian bank and leading innovator. We are inviting all of you to join us during 9 — 15 March, 2019 in Muscat, the capital of Oman, for an intense 7 days of programming! As always, we can't wait to see all of you learn, practice and compete on the international stage, smoothing your road towards the April World Finals in Porto. How it works: "Hello Muscat!" 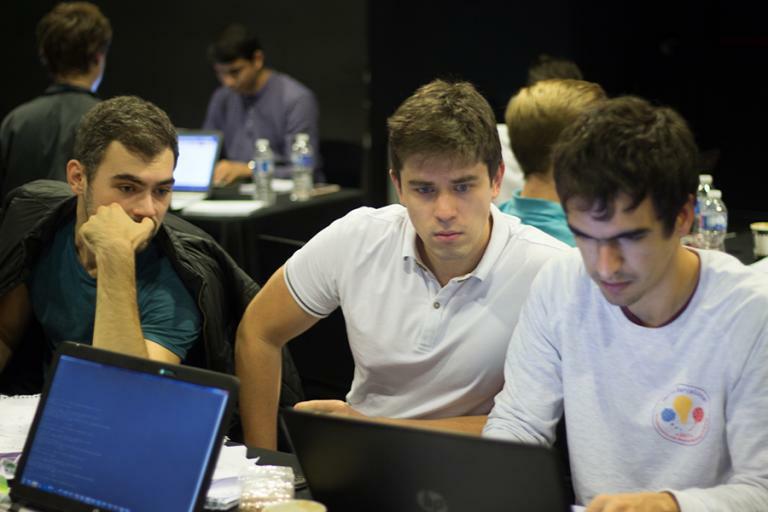 Programming Bootcamp will run in parallel with the traditional Moscow pre-Finals ICPC Workshop — both Bootcamps' contests will be identical, and contestants will be able to see their position in the General Leaderboard. Every day, both camps will be competing simultaneously, 5,500 kilometers from each other! Michael Endagorion Tikhomirov will be the Head of Programming Committee for both Muscat and Moscow. The Chief Judge of both camps will be Oleg snarknews Khristenko, and the General Coordinator is Alexey Maleev, the founder of Moscow Workshops ICPC. All participants will have the opportunity to work under some of the most recognized coaches in the industry: Mike MikeMirzayanov Mirzayanov, Andrew andrewzta Stankevich, Michael Endagorion Tikhomirov, Gleb GlebsHP Evstropov, Artem VArtem Vasilyev, Ivan ifsmirnov Smirnov, Ilya izban Zban, and other world renowned Russian coaches. It will be an important opportunity for teams from all over the world to learn from these well-known and successful coaches in the ICPC world. You can leave your contact details or register here — you'll be contacted upon registration. The campus is a first-of-its-kind project, and establishes Omani architecture at an international level. Division A. 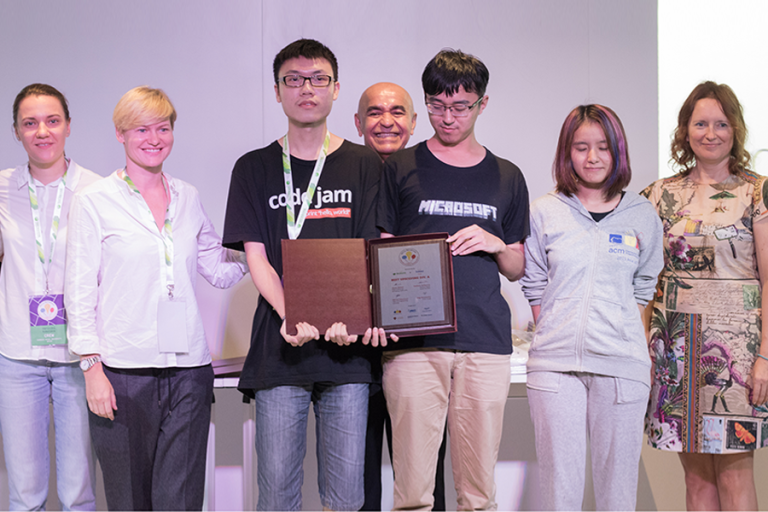 Designed to prepare students to excel and win medals in the next ICPC World Finals. Division B. Designed to help teams prepare for the next season of ICPC Regionals and international competitions. 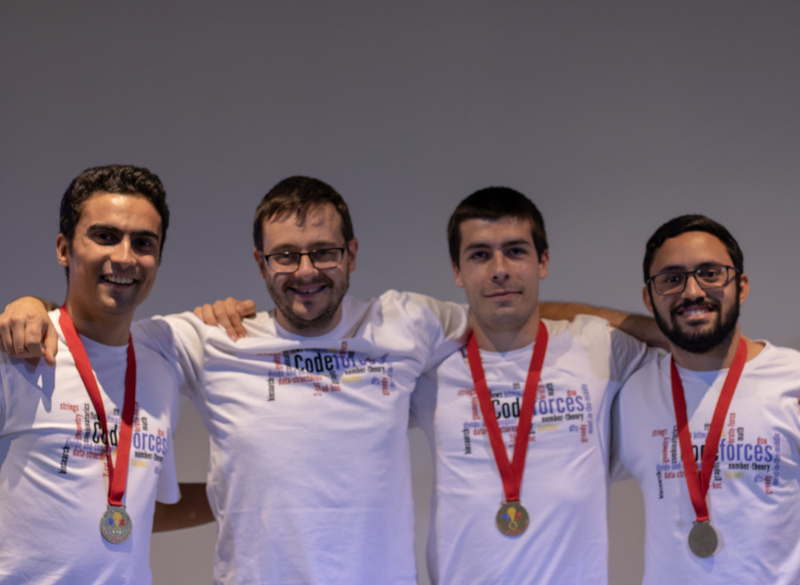 This is an appropriate introduction for teams and students without extensive experience in the world of ICPC and competitive programming competitions in general. The Division B curriculum features thematic lectures and contests. The participation fee is unchanged: €1270 per person (cultural programme, accommodation and half-board meals included). Single participants and teams must register before 15 December to receive the 15% off Early Bird Discount, or the 20% off Loyalty Discount, which is awarded to teams that participated in previous Hello Programming Bootcamps or Moscow Workshops ICPC Bootcamps. The final registration deadline is February 25, 2019. 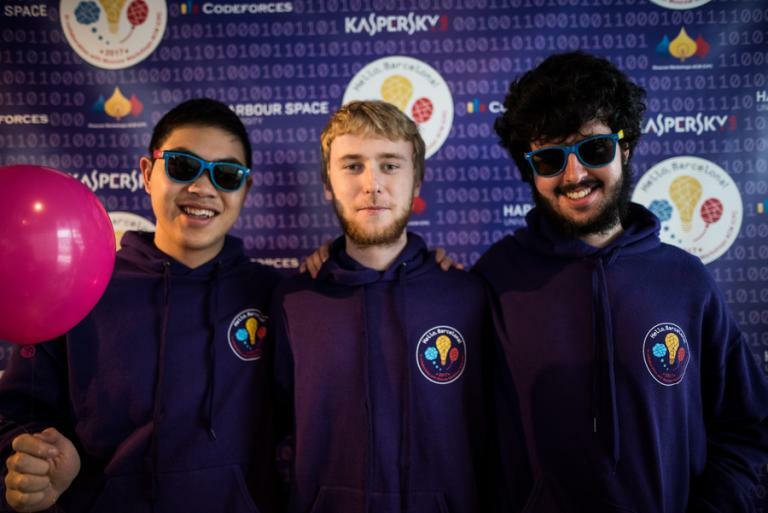 Harbour.Space University and Moscow Workshops ICPC collective efforts have resulted in a series of successful programming Hello Bootcamps, which continue to expand across the globe. 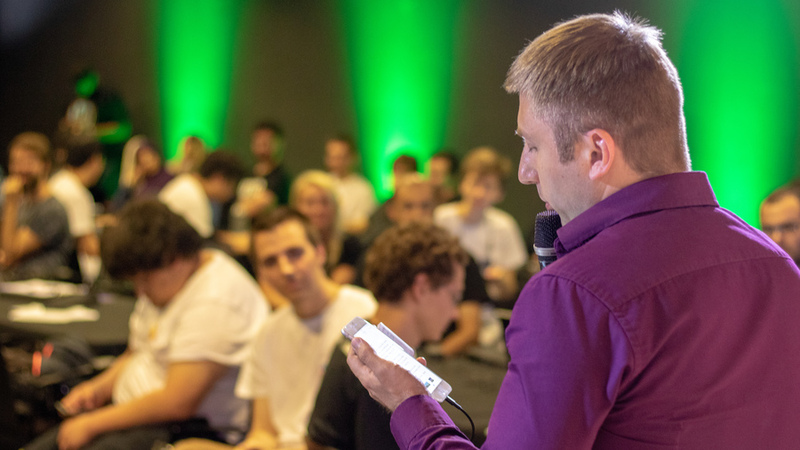 In order to experience the atmosphere of the events, we suggest you familiarise yourself with the photos and videos from the previous Hello Programming Bootcamps. 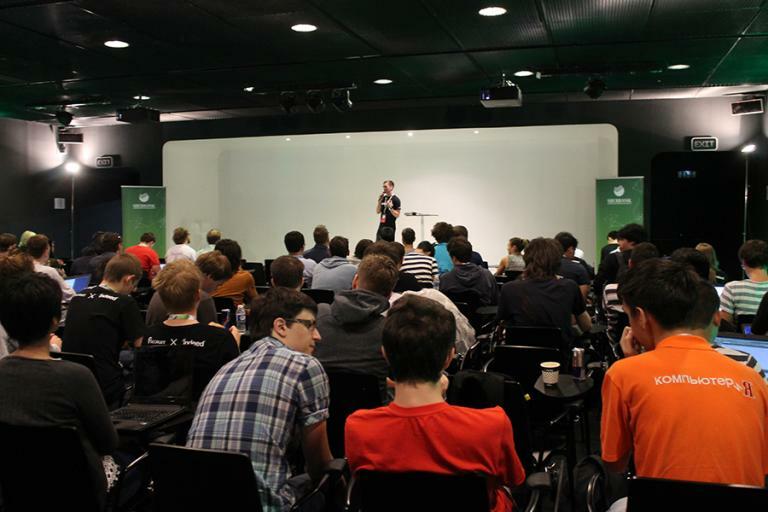 Here's a quick recap of the latest 3rd Hello Barcelona ICPC Programming Bootcamp. On Oct/11/2018 17:50 (Moscow time) Educational Codeforces Round 52 (Rated for Div. 2) will start. My friends from Harbour.Space and Remy Robotics asked to publish the news. I am excited and glad to do it, because for our community this is a true exclusive offer. In short, they offer to study robotics in Barcelona, paying for your studies and even with a scholarship! It's so cool! Here is a direct speech from Harbour.Space. We are excited to announce our new Master’s in Robotics programme scholarship, which will be paired alongside an internship with our partner Remy Robotics! The programme will begin on January 7th, 2019, at our university in Barcelona, Spain. Harbour.Space’s Robotics programme is the bridge between a personal interest in the world of Robotics, Artificial Intelligence, and a top-level professional future in one of the most exciting and fastest growing fields of technology. Students who enter the programme will either graduate as Control Engineers (theoretical specialists who ensure that robots interact with the environment in safe and effective manner), or CV Engineers (industrial manufacturers of robots, based more on practical experience). Students will learn the Design and Control for Dexterous Manipulation; Kinematics, Dynamics and Control; Advanced Manipulation Algorithms robots use to physically interact with their world; Dynamic Optimisation for behavioral control; Integrated Intelligence in Robotics: Vision, Language, and Planning which builds upon the cognitive development; Mechanics of Manipulation focusing on using intelligent development of kinematic constraint, gravity, and friction; Manipulation, Estimation, and Control allowing for robots to locomote and navigate the world; Reinforcement learning in Robotics. Bachelor's or Master's Degree in Robotics or Computer, Electrical, Mechanical Engineering or related disciplines. Pack your bags for Barcelona! 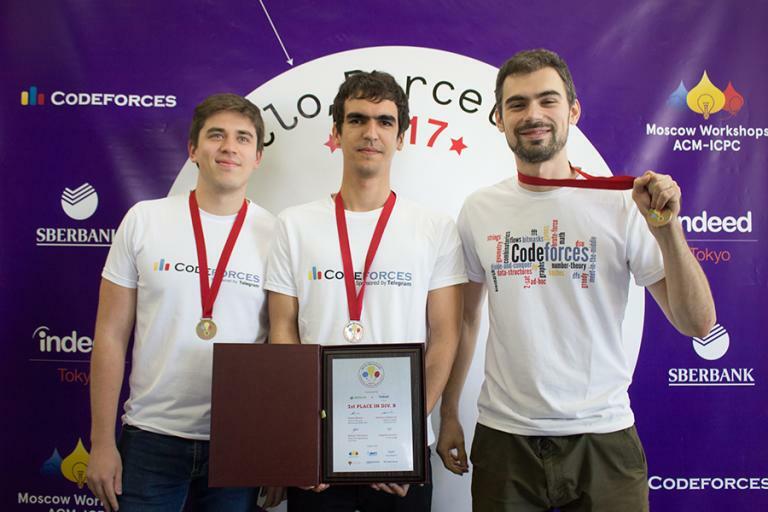 On Oct/04/2018 10:05 (Moscow time), the Codeforces Round #513 by Barcelona Bootcamp (rated, Div. 1 + Div. 2) will start. This is a special round for the Hello Barcelona Programming Bootcamp, in collaboration with Moscow Workshops ICPC. It is rated for all participants, everybody can register on it regardless of a rating. 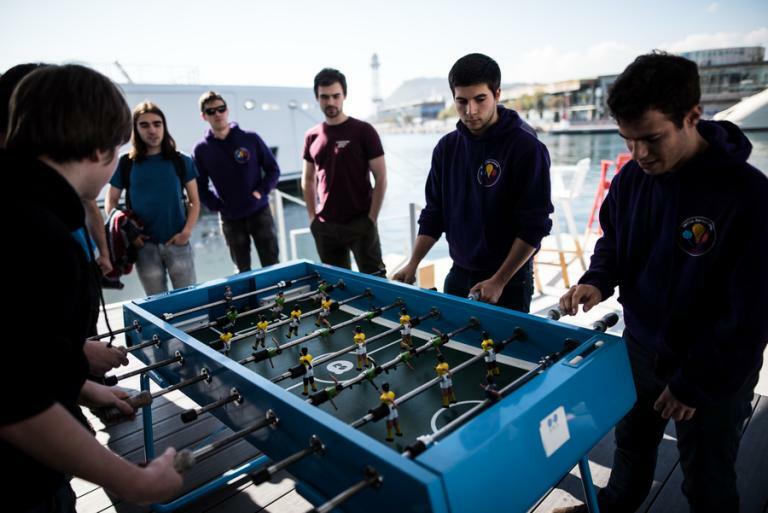 Hello Barcelona Programming Bootcamp is sponsored by VTB and Indeed Tokyo, with the addition of team sponsors Phaze Ventures, Spark Labs and REMY Robotics. 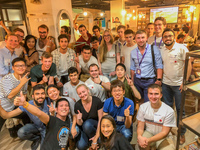 VTB, the largest international bank based in Eastern Europe, continues to be an official partner of the Hello Programming Bootcamp series, adding further quality to the 3rd edition of the Hello Barcelona Programming Bootcamp by bringing their own participants, as well as by supporting top teams from around the world. Indeed Tokyo is Japan's branch of the #1 employment website in the world, giving job seekers free access to millions of jobs from thousands of company websites and job boards. As they sponsor for the second year in a row, Indeed continues to offer the best job opportunities to the boot camp participants. Wish good luck to all the participants! There will be 8 problems, common for both division. Score distribution: 500 750 1250 1500 1750 2250 2750 3000. The problems are prepared by me, Arterm and GlebsHP, with assistance from 300iq, ifsmirnov and gritukan. Have fun! On Sep/20/2018 17:45 (Moscow time) Educational Codeforces Round 51 (Rated for Div. 2) will start. The problems were invented and prepared by Roman Ajosteen Glazov, Ivan BledDest Androsov and me. 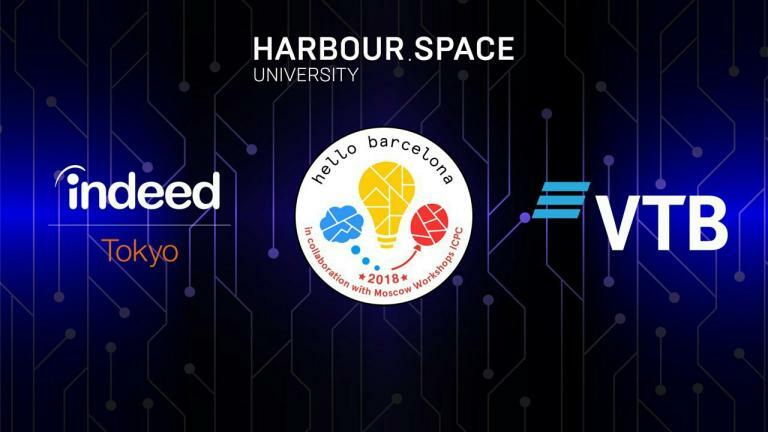 Harbour.Space University is proud to announce new partnerships for this year’s Hello Barcelona Programming Bootcamp — VTB and Indeed Tokyo, with the addition of team sponsors Phaze Ventures and Spark Labs. 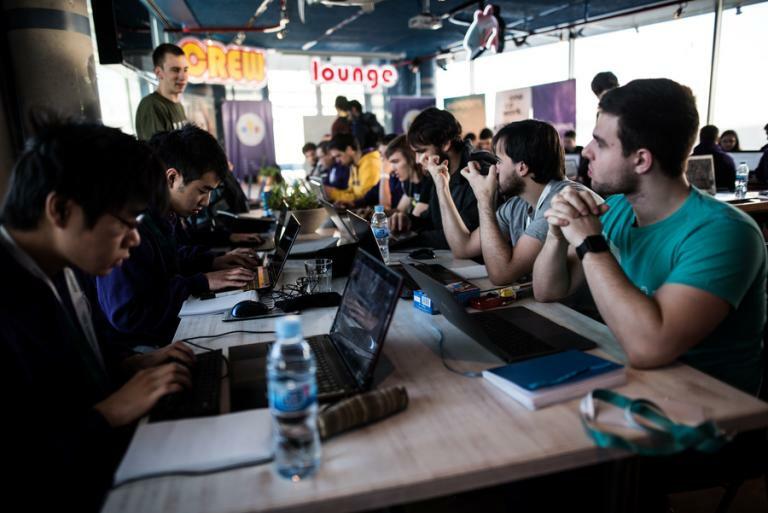 VTB, the largest international bank based in Eastern Europe, continues to be an official partner of our Hello Programming Bootcamp series, adding further quality to the 3rd edition of the Hello Barcelona Programming Bootcamp by bringing their own participants, as well as by supporting top teams from around the world. Indeed Tokyo is Japan’s branch of the #1 employment website in the world, giving job seekers free access to millions of jobs from thousands of company websites and job boards. 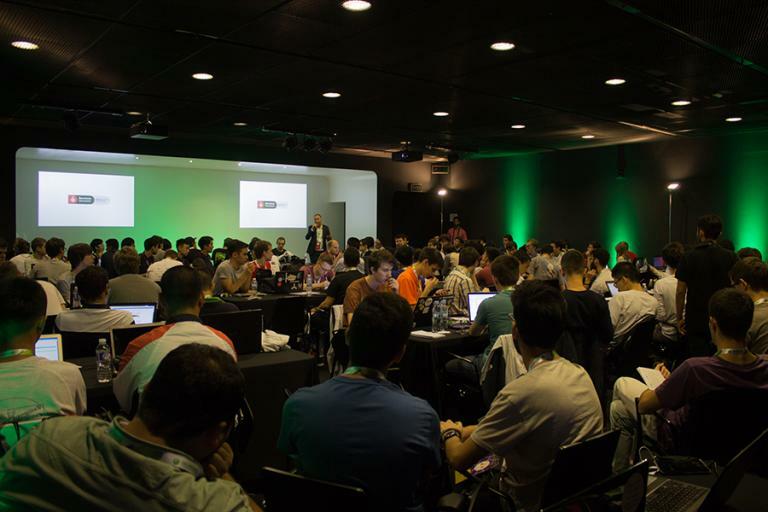 As they sponsor for the second year in a row, Indeed continues to offer the best job opportunities to the boot camp participants as they gather in Barcelona from September 26 to October 4, 2018. UPD: There was a bug in testset and validator for problem F, we are currently fixing the issue. The statement included the correct resrictions. We will rejudge all the solutions as soon as possible. The round can become unrated, we are discussing this at the moment. 694 successful hacks and 497 unsuccessful hacks were made in total! UPD2: We investigated the issue to get the following results. 10 people were noticeably affected (that took them more than 3 minutes of the working time). Round will surely be rated for other participants. As for the affected participants, we will look into the rating changes and revert them in case they are negative (set the participant into the unofficial participation mode). On Jul/14/2018 17:35 (Moscow time) Educational Codeforces Round 47 will start. The problems were invented and prepared by Ivan BledDest Androsov, Vladimir Vovuh Petrov, Maksim Ne0n25 Mescheryakov, Aslan ag2cidk Tamaev and me. We want to remind everyone that the Hello Barcelona Programming Bootcamp is right around the corner, and we’d love to see you there! We would also like to extend a welcome to some of the newest teams to join us from Colorado School of Mines, University of British Columbia and Reykjavík University. Be sure to register before August 1st so everyone has time to get visas if needed, and of course for the Early Bird Discount of 15% or the Loyalty Discount* of 20% off registration for the boot camp! 978 successful hacks and 798 unsuccessful hacks were made in total! On Jun/10/2018 13:05 (Moscow time) Educational Codeforces Round 45 will start. The problems were invented and prepared by Adilbek adedalic Dalabaev, Roman Ajosteen Glazov, Ivan BledDest Androsov, Mike MikeMirzayanov Mirzayanov and me. 549 successful hacks and 525 unsuccessful hacks were made in total! 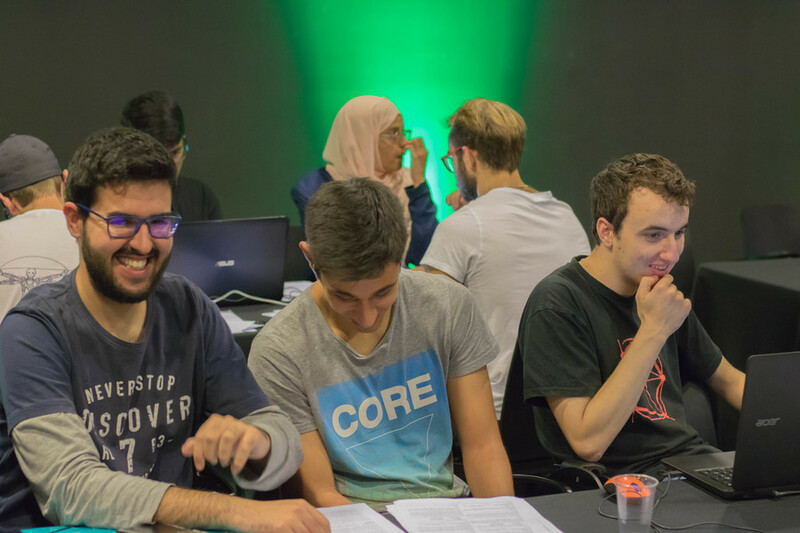 We are pleased to announce the 3rd Hello Barcelona Programming Bootcamp in collaboration with Moscow Workshops ICPC, organised by Harbour.Space University with content provided by Moscow Workshops ICPC, in collaboration with Moscow Institute of Physics and Technology, ITMO University, Saint Petersburg State University and Codeforces! 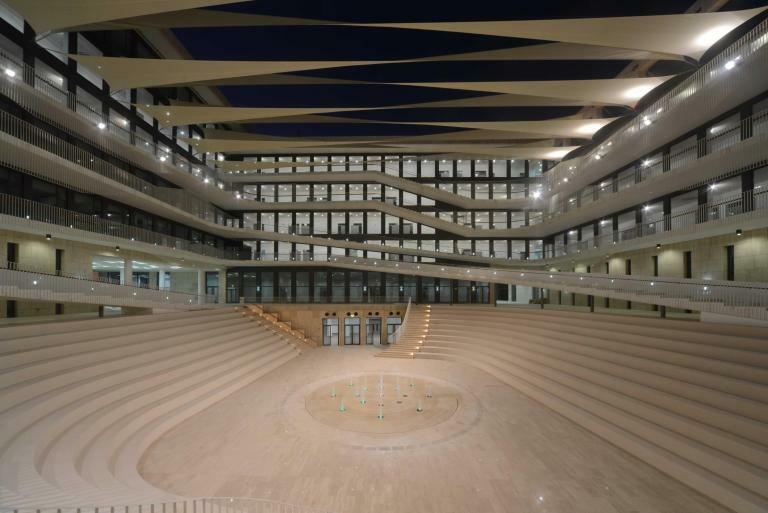 The boot camp will be held from 26 September to 4 October, 2018 in Barcelona, and hosted at the beautiful and technologically mind-bending Media-TIC building — the Smart Building of Tomorrow. 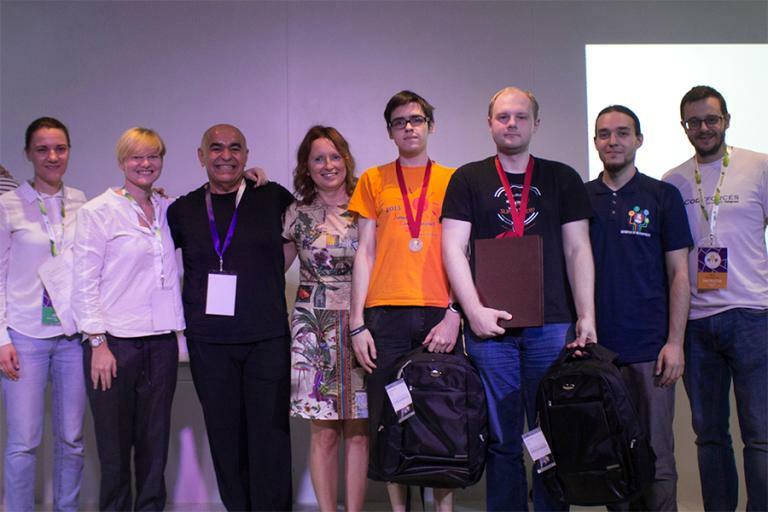 The world's greatest coaches training the participants of Moscow Workshops ICPC events will be attending the programming bootcamp: Mike MikeMirzayanov Mirzayanov, Andrey andrewzta Stankevich, Michael Endagorion Tikhomirov, Gleb GlebsHP Evstropov, Artem VArtem Vasilyev, Ivan ifsmirnov Smirnov and other world renowned Russian coaches. The Chief Judge of the camp is Oleg Snarknews Khristenko. It will be an important opportunity for teams from all over the world to learn from these well-known and successful coaches in the ICPC world. “The participants are facing the problems from real contests selected by our coaches. In competitive programming it’s very important to have real solving experience: one thing is to be able to solve problems staying in comfortable environment of one’s university but championships are completely different. 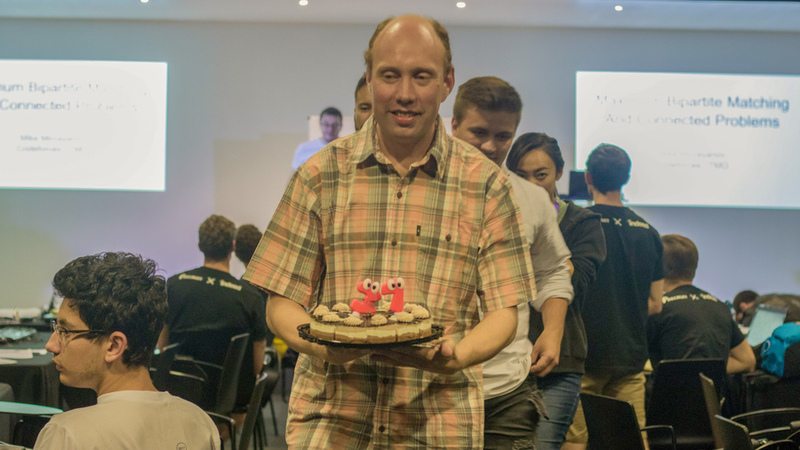 The only way to get ready for the extreme conditions of ICPC is to visit our programming boot-camps”, says Alexey Maleev, the founder of Moscow Workshops ICPC. So how do you get the most out of the camp? "I think there is no universal solution for "get the most out of a camp" – everyone should find their own path, but the general guideline will be: communicate with other participants as much as you can, make sure you do upsolving (at least some), keep track of how much you sleep," says Gleb GlebsHP Evstropov, coach. 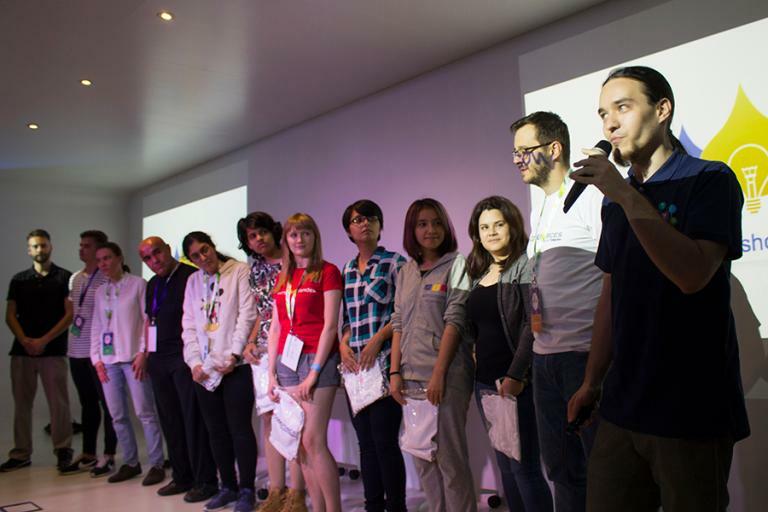 “Having visited all the Hello Programming Bootcamps, I left the events feeling inspired from the overall atmosphere. I am sure that all teams received an immense amount of knowledge and skill. As one of the coaches, all of the flattering reviews about the camp from the participants were pleasant for me to hear. I am very glad that these camps are becoming regular. Harbour.Space University and Moscow Workshops ICPC have done a job worthy of admiration!” says Mike MikeMirzayanov Mirzayanov. Division B. 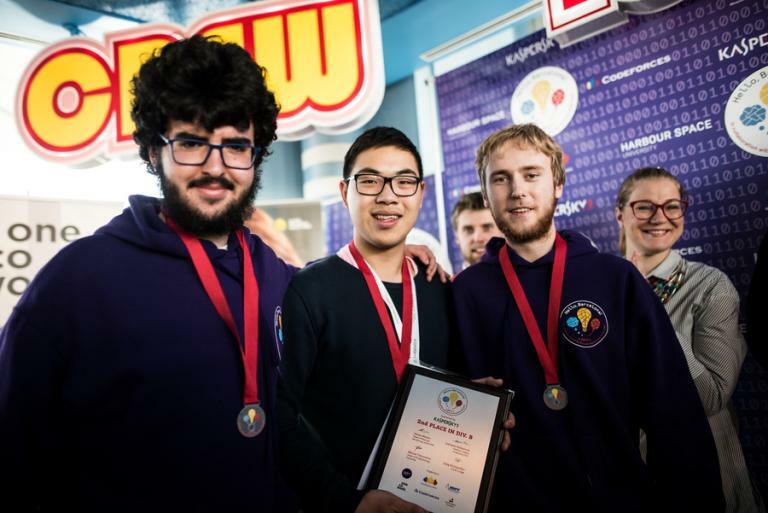 Designed to help teams prepare for the next season of ICPC Regionals and international competitions. This is an appropriate introduction for teams and students new to the world of ICPC and competitive programming competitions in general. The Division B curriculum features thematic lectures and contests. The participation fee is unchanged: €1270 per person (cultural programme, accommodation and half-board meals included). Single participants and teams must register before July 1st, 2018 to receive the 15% off Early Bird Discount, or the 20% off Loyalty Discount, which is awarded to teams that participated in previous Hello Programming Bootcamps or Moscow Workshops ICPC boot camps. 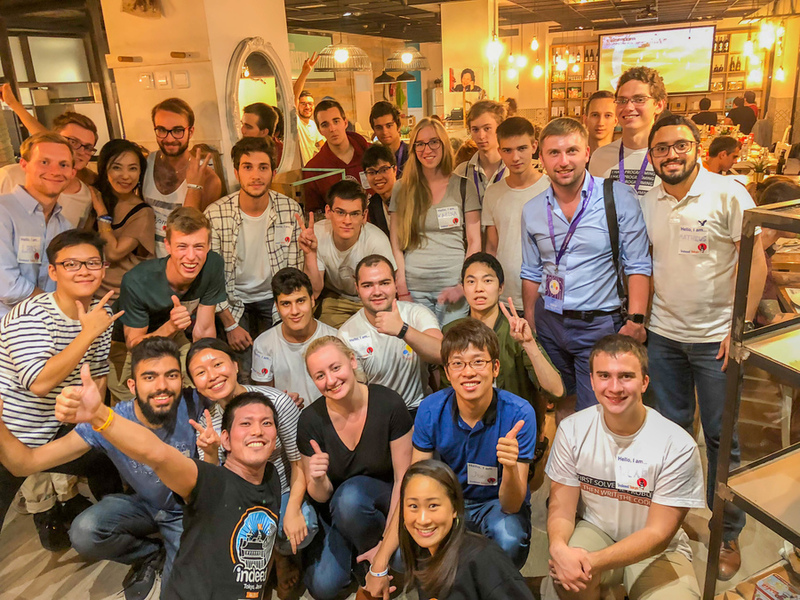 In order to experience the atmosphere of the event, we suggest you familiarise yourself with the photos and videos from the previous Hello Programming Bootcamps in collaboration with Moscow Workshops ICPC. On May/21/2018 17:45 (Moscow time) Educational Codeforces Round 44 will start. This round will be rated for the participants with rating lower than 2100. It will be held on extented ACM ICPC rules. After the end of the contest you will have one day to hack any solution you want. You will have access to copy any solution and test it locally. The problems were prepared by Adilbek adedalic Dalabaev, Vladimir Vovuh Petrov and me. 703 successful hacks and 490 unsuccessful hacks were made in total! On April 30, 17:35 MSK Educational Codeforces Round 43 will start. The problems were prepared by Mikhail PikMike Piklyaev, Roman Ajosteen Glazov, Adilbek adedalic Dalabaev and me. We'd like to thank Ivan BledDest Androsov and Maksim Ne0n25 Mescheryakov for the help in preparing the round. UPD: The round will contain 6 problems instead of 7. 777 successful hacks and 656 unsuccessful hacks were made in total! Server time: Apr/19/2019 20:27:32 (f2).